Dogs should not bite anyone but they do. When a person gets bitten by a dog in Ohio they have specific legal rights. Set out below is an outline of actions you can take. Dog bite laws in Ohio give a victim the ability to be properly compensated for their injuries. This includes medical expenses related to the injury, scarring, pain, suffering and psychological trauma. When you contact our law firm for a free consultation we will walk you through important statewide dog bite laws and how they apply to dog bite victims in any part of Ohio. We invite you to call us or send us a website message to schedule a free consultation with our experienced dog bite attorneys. There are nuances to the law that our attorneys fully understand and can apply to your situation. “Strict liability” is an important concept to understand if you have been the victim of a dog attack. It means that you don’t have to prove the dog owner did something wrong. All you have to do is prove that the dog bit you with a few exceptions. You can sue based on strict liability. Under this law you do not have to prove the dog owner, keeper, or harborer did anything to cause your injury except those situations noted below. Two other words just mentioned are very important with respect to dog bite laws: harborer and keeper. In addition to the owner of the dog being responsible for the injuries caused by the dog bite, the keeper or the harborer of the dog may have liability as well. A “harborer” owns or controls the premises where a dog lives. 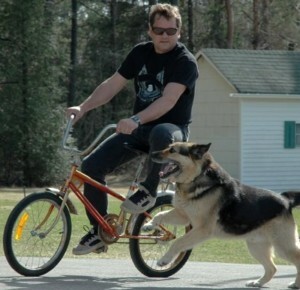 A “keeper” is a person in charge of the dog and may be in charge of it only temporarily. There are also civil penalties for dog owners who are not vigilant about their dogs, fail to register them and do not follow the laws regulating dangerous, vicious and nuisance dogs in Ohio. A dog attack injury victim can sue under Ohio’s strict liability laws using Ohio Revised Code, Section 955.28. Section (A) of this statute describes other situations where a dog owner may be liable for a dog that chases, threatens, harasses or injures a person or kills another animal (not including a cat). It also prohibits a dog from approaching someone in a “menacing fashion or apparent attitude of attack.” It gives reasons why a dog may be lawfully killed for certain acts. Ohio dog bite laws give a victim more than one option for recovering compensation for an injury caused by the behavior of a dog. If you don’t take action under strict liability, you could consider using Ohio’s negligence laws. 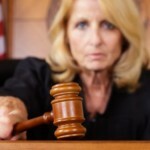 Recovering damages under common law negligence is different. You have to actually prove that the dog owner acted negligently. More than 80 Ohio communities have banned or restricted pit bulls and a few other breeds or automatically declared them “vicious”. This is the most serious of classifications based on the penalties. A person can go to jail in Ohio for up to six months for failure to properly confine and control a vicious dog. Some state governments have prohibited or restricted the ability of municipal governments to enact breed-specific legislation (BSL). In 2007 the Supreme Court of Ohio reversed an appeals court in Toledo and reinstated an ordinance that limited residents to owning one pit bull. This decision reinforced the right of municipal government to regulate dogs. The definition of a trespasser does not always apply when someone you don’t know is on your property. One example of this is if a door-to-door salesman or other solicitor comes to your home. The dog owner would be liable if this person were injured by the owner’s dog because a solicitor is what is known as an “anticipated trespasser.” You are required to restrain your dog if this type of person comes onto your property. It does not matter if the solicitor is in compliance with local requirements on permits or licenses. If a landlord is not the owner, keeper, or harborer of a dog, he or she is generally not liable to the dog bite victim unless the injury or attack took place in a “common area” of the premises. A ‘’common area” is an area available for common use by all tenants that is not individually owned by one tenant. 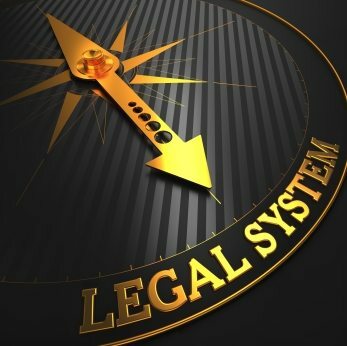 In the State of Ohio a victim can file both types of lawsuits for the same injury as long as their suit meets the requirements of strict liability and negligence in Ohio. In a negligence case an injured person may receive punitive damages if they can prove the dog owner acted with gross negligence or malice. These damages can be difficult to obtain unless the dog owner’s conduct was particularly outrageous. 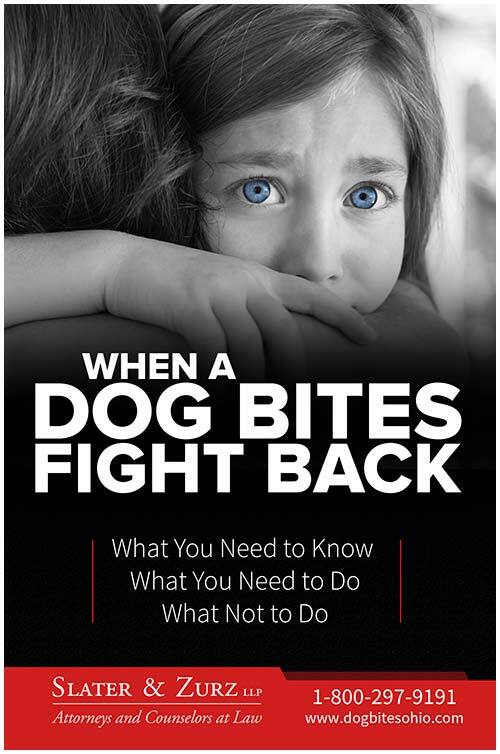 If you are filing under the strict liability statute, a child bitten by a dog has six years from the date of his or her 18th birthday to file a lawsuit against the dog’s owner. An adult has six years from the date of the dog bite or dog injury to file his or her claim. With negligence claims, the injured person has two years from the date of the dog attack to file a claim. The concepts of strict liability and common law negligence may sound very simple when you read about them here. If you have suffered an injury from a dog bite that may affect you or a loved one for a lifetime you will want someone to assist you who understands not only the simple things about the law but the more complex areas as well. Perhaps your child was disfigured in a dog attack and will need treatment for years. Maybe you are unable to walk down the street because you are afraid of encountering a dog and have become a virtual prisoner in your home. Why should you suffer because another person did not monitor or control their dog? Contact us at any time including weekends and evenings. 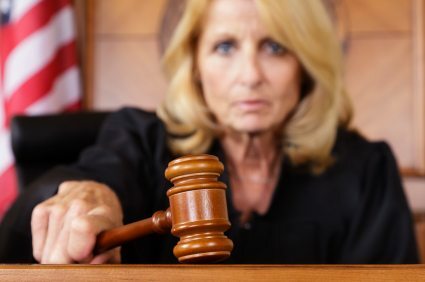 We will provide you with a free consultation with one of our experienced dog bite attorneys. He will review your case and advise you how we can help. 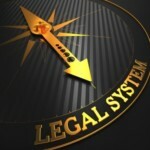 There is no cost for a free consultation and you are under no obligation to hire our law firm.